This was such a wistful and interesting read for me. It was definitely something different in the young adult category. I could somewhat predict what would happen from the blurb, but that didn't take away from the story for me. Although short, I enjoyed this emotion-packed story and would recommend it. Asta launched her writing career in 2011 and divides her efforts not only between MM and mainstream works, but also between traditional and indie publishing. Her works span the genres from paranormal to historical and from contemporary to fantasy. It just depends what story and which characters spring into her mind! As a day job, Asta works as a freelance editor and proofreader, and in her spare time she enjoys music, theater, cinema, photography, and sketching. She also loves history, folklore and mythology, pen-palling, and travel, all of which have provided plenty of inspiration for her writing. 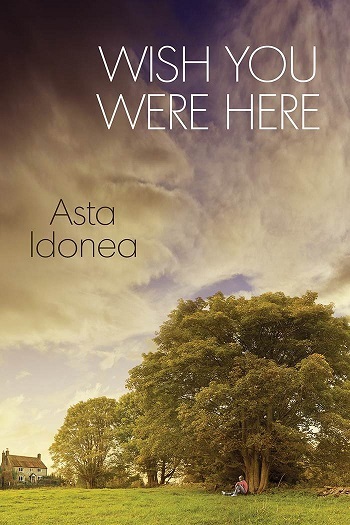 Reviewers on the Wicked Reads Review Team were provided a free copy of Wish You Were Here by Asta Idonea to read and review.